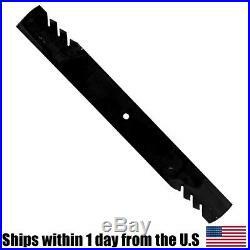 Replaces OEM# Bush Hog: 88773 Grasshopper: 320250, 320251, 320252, 320253, 320254, 320255, 320323. Specifications: Center Hole: 1/2 Length 25 Width: 3 Thickness: 0.250 Offset: 5/16 GATOR® G6® Fusion Hi Lift. Established in 1970, EPR Distribution specializes in a wide variety of products and parts ranging from Landscape Equipment and Parts to Sporting Goods. The best products, the best prices! Our team works hard to find you the best deals and provide you with a wide selection of products. Our dedicated and friendly customer service agents are here to help you with all your questions and concerns. Feel free to send us a message directly and one of our agents will get back to you as soon as possible. However, we cannot guarantee the cancellation. California Prop 65 - This product can expose you to certain chemicals, which are known to the State of California to cause cancer or birth defects or other reproductive harm. Powered by SixBit's eCommerce Solution. 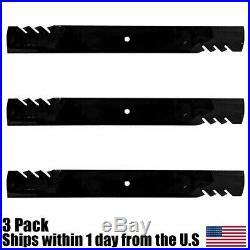 The item "3PK Oregon G6 Gator Blades Bush Hog 82325 6' BushHog Grooming Finishing Mowers" is in sale since Thursday, March 21, 2019. This item is in the category "Home & Garden\Yard, Garden & Outdoor Living\Lawn Mowers\Lawn Mower Parts & Accessories". 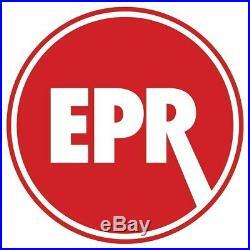 The seller is "eprdistribution" and is located in Elgin, Illinois.